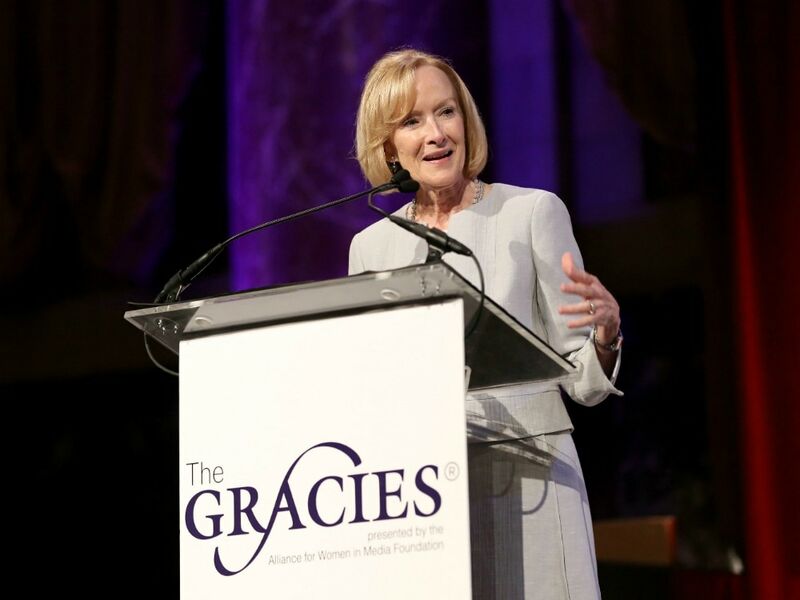 PBS NewsHour anchor Judy Woodruff chatted with us about the need for women in leadership, the search for high-quality content, and what it meant to receive the Gracies Lifetime Achievement Award at the 43rd Annual Gracie Awards Luncheon. Congratulations on the Gracies Lifetime Achievement Award. Where were you when you found out? And what were you thinking when you were onstage receiving the award? 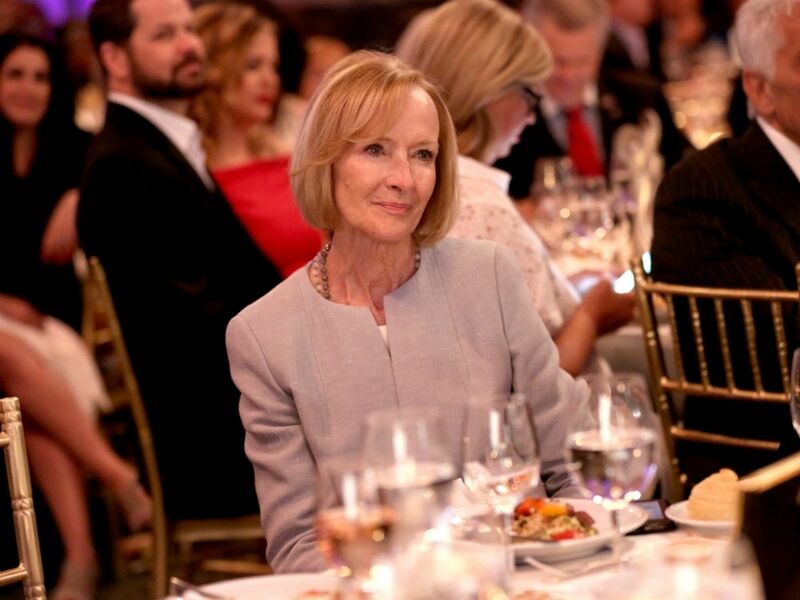 JUDY WOODRUFF: Thank you! I was in my office at the NewsHour studio in Washington when Nick Massella, our Director of Communications, walked in to share the exciting news. All I could think as I stood on stage was about the phenomenal women who’ve been previous Lifetime Achievement award winners, especially Jane Pauley who returned this year to present to me. And of course about the entire PBS NewsHour team I represent, who work so hard every day to report on the most important stories of our time. Your Gracies speech focused on the need for women in leadership. What advice would you give those trying to negotiate their way to positions of power? JW: One, imagine yourself as a leader before you become one; believe that you can lead, that you can make a difference. Two, don’t be afraid to make mistakes: everyone does; what’s critical is you need to own them and move on. Three, bring others along with you: lift them up as you move up, share your good fortune. Finally, have a vision of what you want to accomplish. The New York Times described your performance on the PBS NewsHour just a year ago as follows: "Ms. Woodruff's measured delivery, with her hands clasped and her voice low, stands as a counterweight to a haywire era of American news." What has it been like to cover the news in this "haywire era"? JW: It’s been like nothing I’ve covered before. I’ve reported on Democrats and Republicans, on liberals and conservatives, on Reagan, Clinton, Bush, and Obama. We’re now in a different time and space, with a President who not only doesn’t have a formal background in American politics and government, he openly disdains it. That combined with his skills as a non-stop news-making machine, the polarized public reaction to him, and the fact that the world is more complicated than ever and that news spreads at warp-speed in this hyper-connected environment, makes for a very full work week. I’m drinking more coffee! What must a story have for you to be interested in it? JW: It should affect people’s lives—their health, safety, freedom, quality of life or financial well-being. I’m fascinated by politics because it’s covering people as they maneuver to effect public policy, and thus other people’s lives. And there are so many arenas that affect humanity outside of politics, like medicine, science, education, business, the arts. In the battle for high-quality content, where do you get most of your information from? JW: I scour as many sources as I can: The New York Times, The Washington Post, Wall Street Journal, Bloomberg News and Bloomberg View, AP, Reuters, NPR, the television news networks, social media—and long-form content across the ideological spectrum: The New Yorker, The Weekly Standard, The Atlantic, National Review, are just a few. Do you feel people are still searching for high-quality content? Or, has social media hindered that? JW: Absolutely, I think there’s more of a premium on quality content than ever before: as we swim in a sea of news, people are searching for information they can trust. PBS NewsHour’s audience numbers have risen significantly; The New York Times and Washington Post subscriptions have skyrocketed. JW: Yes and no: I love the reach and immediacy of Twitter, for example; it’s become a must for journalists. But the tsunami of information makes it harder to verify/vet everything that’s important, something we still have to do. And we often don’t have time to reflect on those news developments that deserve more attention: we cover this hour’s news, and next hour, if something equally interesting comes along, we drop this and move on to that. Also, at the NewsHour and other prominent broadcast news outlets and at newspapers, there are editors who serve as filters. With much of social media, there is no filter. Are there things that you still want to go out and get? A high-profile interview? Another book? A new project? JW: Yes! Interviews with: His Holiness Pope Francis, Kim Jong Un, Beyoncé, and ordinary Americans like that single, high-school educated mother who raised three children to excel at college, graduate school, and life. I want to write another book but haven’t yet figured out how to organize my time to get it done. My main project right now is the 2018 midterm elections: not new but a huge priority for all of us at the PBS NewsHour.